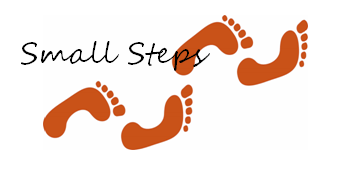 Small Steps is the banner under which we as a church operate our efforts to keep the issues of ‘poverty & social justice’ at the centre of our life together. It is purposely designed to be what it says - people taking just one small step at a time to try and make a difference to those more vulnerable than ourselves. Sometimes we can have big ideas and big plans and they come to very little, so we thought we would start this journey, as every journey does, with just some small steps. Our vision comes out of Micah 6:8; we need look no further to know some of what God wants for us. Our inspiration comes out of taking part in the “Just People?” course developed by Tearfund and Livability which we discovered and took part in throughout 2008/9. 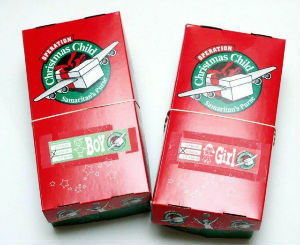 At Christmas we collect money to help the "Toybox" Charity and also prepare shoe boxes with children toys for sending out to the street children in Latin America. This will be happening again this Christmas, 2016. We have also recently collected wool and knitted blankets (made from squares) and sent them to Esogodini hospital in Zimbabwe. We have also collected money and purchased footballs for Zimbabwe. Currently our knitting group members are knitting baby jackets and hats to clothe newly born babies that otherwise would be wrapped in newspaper when sent home from hospital. We recently collected money to buy Bibles for Chinese Christians and illustrated our progress with a display showing a bible every 80p donated - just a small step but a big impact in people's lives! There is a current shortage of meals available at our local food banks, so your help will be very much appreciated. If you can help with this, please bring tinned/long life puddings, or tinned fruit. These should be left at the front of the church. 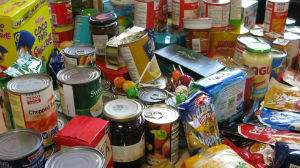 For more information about our nearest local food bank click here. TAKE A SMALL STEP - DO SOMETHING !